Map & Directions - Tucson Showplace, LLC. 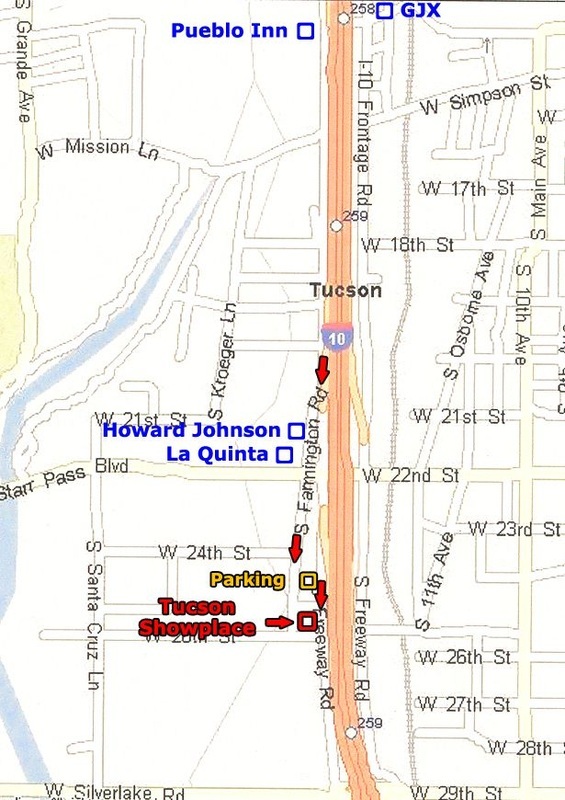 To Tucson Showplace: From I-10, exit at Congress St (Exit 258) Proceed south on South Freeway to Starr Pass Blvd. At the stop light, continue south on S Freeway past Motel 6 and Travel Inn. Turn right into driveway to Tucson Showplace. To Show Parking Lot: From I-10, exit at Congress St (Exit 258) Proceed south on South Freeway to Starr Pass Blvd. At the stop light, turn right. Take an immediate left onto Farmington Road (located east of the Waffle House). Follow Farmington Road to the show parking lot located on the left. Gold Route Shuttle stop is located at the front entrance of the Tucson Showplace.